AUSTIN, TX--(Marketwired - Jan 26, 2017) - Edgile, a leading cyber risk consulting services firm, today announced the addition of Jerry Jenkins to its executive team as the Chief Human Resources Officer, based in Austin. Joining Edgile from PayPal, Mr. Jenkins is responsible for leading all aspects of HR and Talent activities for Edgile's rapidly growing national practice. As PayPal's Vice President of Human Resources, Jenkins played an instrumental role in the successful separation of eBay, Inc. and PayPal into two independent, publicly traded companies, and built out PayPal's leading-class Global HR Operations department after its spinoff from eBay. Prior to PayPal, Jenkins held senior leadership roles in Human Resources at eBay, including Global Talent Acquisition, and directing the development and implementation of its HR Shared Services organization in the Americas. "From day one, hiring the best and brightest people to solve our customer's complex security challenges has been at the core of Edgile's culture and business," said Don Elledge, Edgile CEO. "Jerry's more than 20 years of progressive leadership experience heading world-class HR management and operations at leading Fortune 500 companies will be a valuable addition to Edgile's management team as we continue to expand our strategic security services and collaborative culture throughout the nation." "I am excited to join Edgile, a leading company providing opportunities for the best and brightest security professionals to thrive in an increasingly important industry," said Jenkins. "As the firm focuses on its next stage of growth, I am especially looking forward to working with Edgile's high-caliber professional team to put in place a scalable world-class HR organization that empowers people, and enables the company's exceptional capabilities, culture, and customer-centric approach." As a leading information security consulting firm, Edgile delivers professional and managed services to the nation's most respected Fortune 500 companies, providing our people with tremendous opportunities for growth. Working alongside some of the best and the brightest individuals in the information security world, Edgile's employees continually apply their talents and expertise as part of Edgile's experienced high-caliber professional team to solve the security challenges of the Modern Enterprise, and share in the success of our F500 clients. Established in 2001, Edgile is an employee-owned company that is growing at over 100 percent each year. The firm was recently ranked one of the top companies on the 2016 Inc. 5000, the most prestigious ranking of the nation's fastest growing private companies. 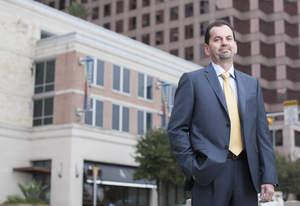 Edgile was also featured in the Austin Business Journal as one of the fastest-growing companies in Central Texas with greater than 300 percent revenue growth over the past three years and compound annual growth rate of 109 percent. To learn about opportunities at Edgile click here. Edgile is the trusted partner and advisor on cyber risk, providing strategy and implementation consulting services to the world's leading organizations. Our mission is to secure the modern enterprise for the new age of digital, where trust is the most valuable asset, allowing today's enterprise organizations to be more agile, business-driven, and transparent with all partners in their ecosystems. Edgile's services include security strategies; cybersecurity; governance, risk and compliance (GRC); and identity and access management (IAM). PayPal HR VP Jerry Jenkins joins cyber risk consulting firm, Edgile, exec team as Chief Human Resources Officer responsible for leading HR and Talent activities for the firm's rapidly growing national practice. Jenkins stated, "I am excited to join Edgile, a leading company providing opportunities for the best and brightest security professionals to thrive in an increasingly important industry."